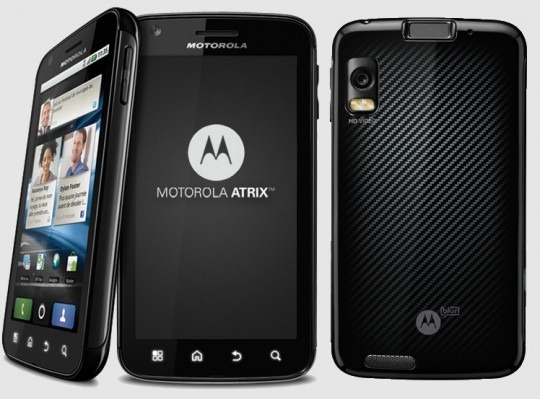 Motorola is preparing to release its first over-the-air update for the ATRIX 4G (beta signup link here, open until Friday at 12PM EST), which should be exciting news for owners of the device, though it may end up inspiring more angst than joy. The ATRIX 4G has been known in particular for two problems since its release: first, a lack of HSUPA (high speed upload) support in the software and, second, poor voice quality on phone calls. Motorola has promised to address both of these issues - just not right now. Moto has yet to release the change log for the incoming update, but the admin on the Moto forums who posted on it has made it a point to confirm that neither of the ATRIX's biggest annoyances are being taken care of in the impending release. Still, Motorola probably has a few goodies (and presumably exploit fixes) up its sleeve for ATRIX users, so it can't be all bad news. The change log should be available shortly (tomorrow, supposedly), so we'll be waiting to see just what's in store.